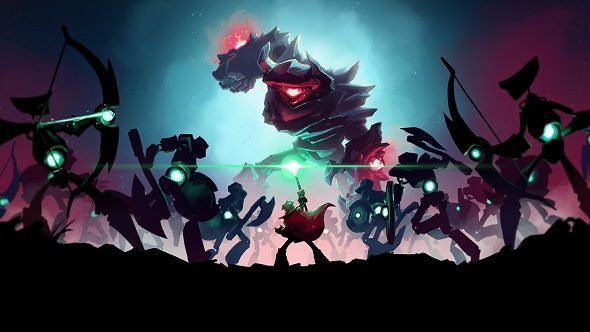 In case you feel like your life isn’t truly complete without a horde of golems fighting at your side, there’s a new game being published by Focus Home Interactive for you: Masters of Anima. No, not anime, you’re probably already a master of that, we said anima. For more strategy, these are the best strategy games you should play now. Anima, in case you didn’t know, refers to the soul, but is often used to refer to golems and other machine-like creatures given life and, in this case, made to fight. The game itself isn’t unlike Pikmin, as the trailer above shows, as well as giving us a good idea of the story and combat. In short, you’ll control a series of minions to fight against enemies, each with their own strengths and weaknesses. Micromanaging their movement during a fight to ensure you win decisively is the key. Imagine it to be like a focused real-time strategy game with small battles and very specific unit types. You can control up to 100 of the creatures (called Guardians), which seem to range from tiny ranged scuttlers to giants made of stone. Fight enemies, win, and grow your power, all in a quest to save your fiancée Ana, who has been captured by the evil Zahr. It wouldn’t be a videogame without a captured fiancée, would it? Masters of Anima is coming to PC (as well as Xbox One, PS4, and Switch) in spring 2018, so expect more details on it in the near future.